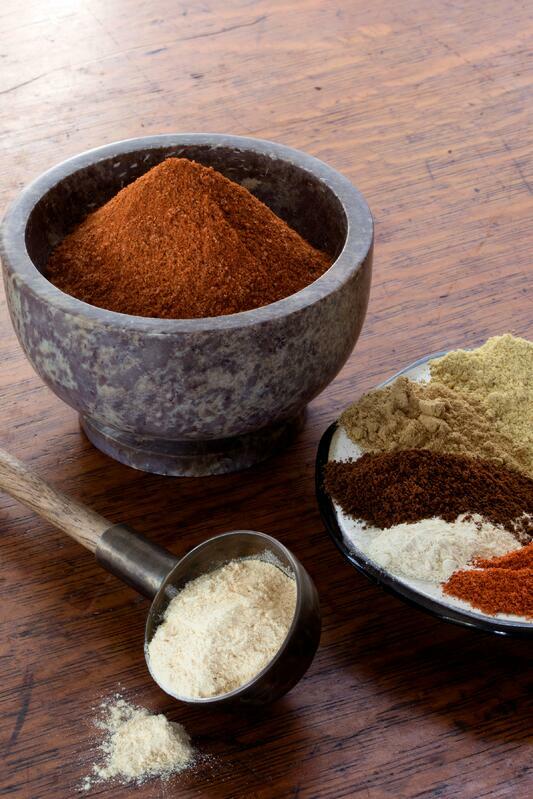 If you have whole spices on hand instead of powdered spices, you can easily grind the spices yourself using a mortar and pestle. If you are making the spice blend to be used as a regular garnish, add the whole spices to a spice grinder and then use as needed. 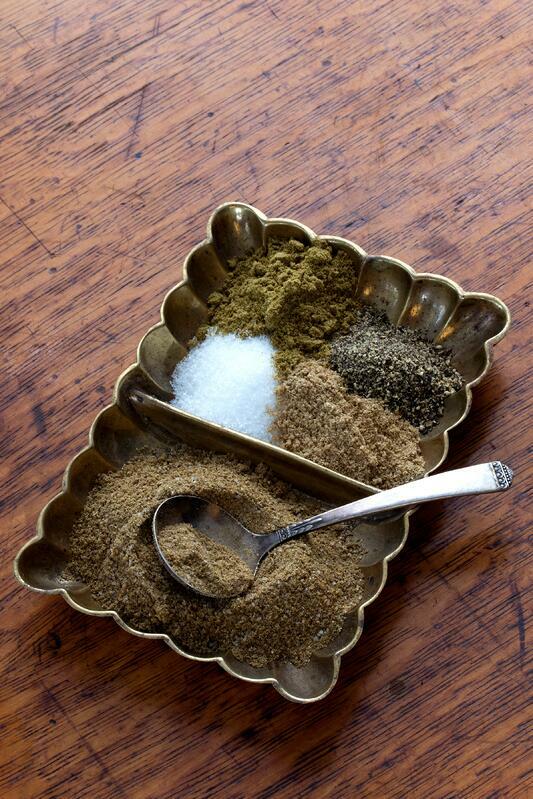 For every "1 part" of a spice called for in these blends, I suggest using a half teaspoon or a teaspoon to get started. Remember, these are just general guidelines. Adjust proportions to what feels right for you! While blending, you'll find that certain spices (like garlic or cayenne powder) spread quickly into the air around you! So it may be best to mix your blend with gloves or in a well-ventilated room. Not only is this blend delicious, it seems to fill your entire mouth with flavor, instead of just your tongue. The variety of spices make for a surpisingly smooth taste, and it's easily adjustable depending on your tolerance for spicy foods. To get the most flavor from this mix, lightly saute the blend in oil and add to a glass jar to use whenever you want an extra pop of flavor. This berbere spice blend oil was so popular in my household, we added spoonfuls to everything from plain rice to cooked veggies. Enjoy! One of my favorite kitchen aromas is the smell of roasted cumin! 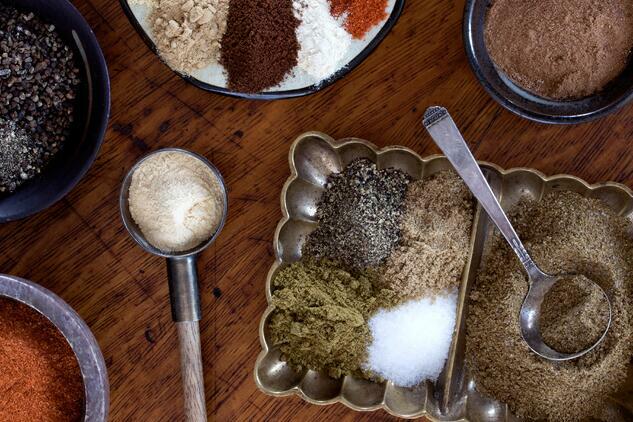 Growing up in an Indian home, this spice blend has always been used when we make curried garbanzos. If using turmeric powder, lightly saute it first in oil so that it cooks. You'll find the flavor become more smooth. Then, add in other spices, simmer for a few more minutes, and a little hot water if you want it to be saucy! Add to pre-cooked garbanzo beans, vegetables, or other savory dishes. 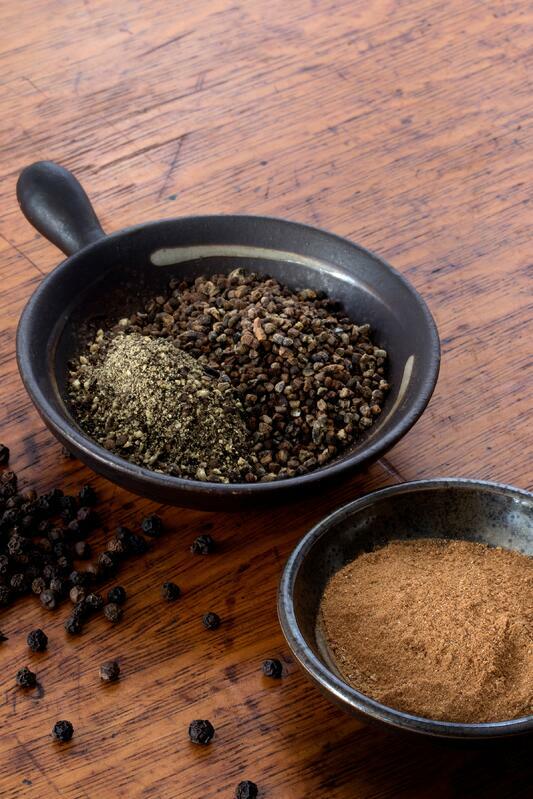 While I was researching new (to me) spice blend recipes, I came across this one. I hadn’t seen many blends with such unique contrasts (like cumin and rose petal powder), so I couldn’t help but reach out to my Iranian friend to ask if she’d ever used this blend. She gave it a thumbs up, and so do I. It tastes like a sophisticated cinnamon spice mix with both savory and floral notes. This blend makes for a lovely addition to a rice pilaf or lentil soup. It’s also great sprinkled on some toast or oatmeal with a little butter and honey. These global spice blends warmed up my kitchen, brought new inspiration to old dishes, and inspired me to keep trying new blends. Plus, they made the whole house smell out of this world! To those of you who think you've tasted it all, I assure you that when it comes to the kitchen, there will always be new flavors to try and new aromas to enjoy. Such is the nature of herbs and spices. Inspired To Start Spice Blending?